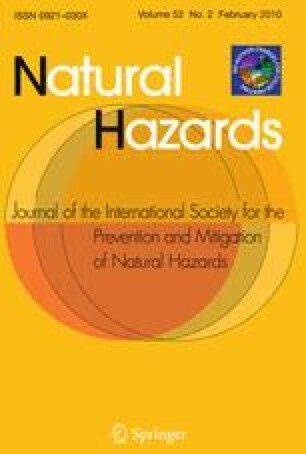 Recent developments in the vulnerability literature have contested the use of technical solutions as the sole adaptive strategies to reduce natural hazard impact; this literature emphasizes the need to attend to the wider everyday risks to which people are exposed and that aggravate hazard vulnerability. Using a case study of two flood-prone communities in Puerto Rico, this article supports and enhances that literature by placing floods within a wider context of other risks and determining how everyday risks influence people’s perceptions of and capacity to adapt to floods. Participatory methods are used to elicit the everyday risks that concern community members. The analysis reveals that participants perceive floods as one of their risks, but they see them as neither the most important nor most severe risk in their lives. Instead, they find other concerns—health conditions, family well-being, economic factors, and land tenure—more pressing. These competing risks limit adaptive capacity and increase vulnerability to natural hazards. The results suggest that addressing these multiple risks, mainstreaming flood management and adaptation into the wider context of people’s general well being, and increasing risk perception will strengthen adaptive capacity to present and future floods. This study would have not been possible to complete without the generous participation of the community members of Mansión del Sapo and Maternillo; many thanks to all of them. Thanks also to Annette, Ricardo, María, Jennifer, Yahaira, José Luis, and Teddy—the research assistants in this study. The input and contributions of Petra Tschakert, from the Department of Geography of The Pennsylvania State University, are greatly acknowledged. We would also like to thank the constructive suggestions of two anonymous reviewers. The work was conducted while the first author was at The Pennsylvania State University. This research was made possible through funding granted to the first author by the Alfred P. Sloan Foundation and the Pennsylvania State University’s Bunton Waller Award.